Ultra Worldwide continues its expansion across the globe with Asia becoming the latest continent to welcome further new editions of Ultra’s catalogue of festivals and events. Taking place over two days on 27 & 28 September at the Tokyo Odaiba Ultra Park, the first ever edition of Ultra Japan will see fans from the Far East and beyond dancing all weekend long to the sounds of electronic music. All 42,000 tickets for this festival have now sold out with over eight weeks to go – a new record for Ultra Worldwide! Afrojack will be bringing his brand of house music to the main stage, off the back of his album ‘Forget The World’ along with Swedish star Alesso. Two founding members of Swedish House Mafia, Axwell and Ingrosso, will also take to the stage together 18 months after they performed their last ever show as a trio at UMF XV in Miami. A firm favourite with Ultra fans the world over, Fedde Le Grand is set to deliver another performance at the Ultra Park, as is his Dutch counterpart and DJ Mag #1 DJ in the world for 2013 Hardwell. 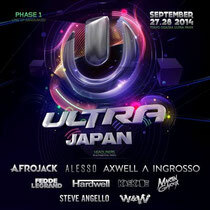 US DJ Kaskade is also an addition to Ultra Japan following his headline show at Ultra Music Festival back in March. 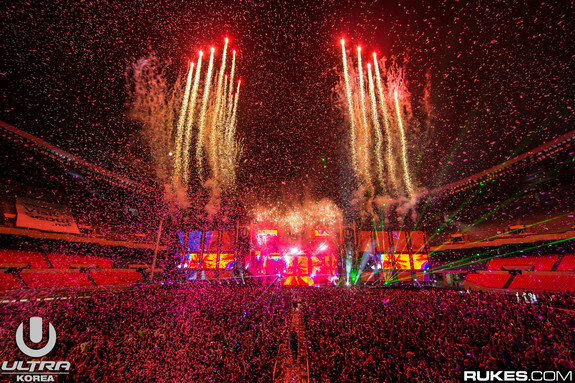 Martin Garrix will also be setting the arena alight as he has done in Miami, South Africa and Croatia this year. Size Records label head and third SHM member Steve Angello brings his booming beats as a solo act this time round and The Netherlands’ own W&W round off the first wave of acts to be announced. Japan is the second Asian nation to be infused with the spirit of Ultra, following on from three editions that have taken place in the South Korean capital of Seoul at the Olympic Stadium Complex. Ultra Korea 2014 saw the festival go from strength to strength taking in over 100,000 attendees over two days, an increase of over 40,000 from the previous year, with almost a third coming from outside of the host country. National newspaper The Korea Herald described it as “the most anticipated electronic music festival of the year”, where “the entire ground floor of the Olympic arena was transformed into the nation’s largest outdoor club”. This year Ultra Korea introduced their first Pool Party, Ultra Pool, the next day following the festival. In addition to these full-scale two-day festivals, Ultra has also been throwing some events around Asia to build excitement and give a taste of the full Ultra experience. Road To Ultra events have previously been held in Seoul, Tokyo and last month in Taiwan, with dance music fans cramming into the Kaohsiung Exhibition Centre to experience the likes of Above & Beyond, Chris Lake, Hard Rock Sofa and Ummet Ozcan on duty behind the decks.